Lisa and Laura Roecker are sisters-turned-writing-partners with a passion for good books, pop culture and Bravo programming. Not necessarily in that order. Lisa has always been a phenomenal liar and Laura loves to write angsty poetry, so writing for young adults seemed like a natural fit. The sisters live in Cleveland, Ohio in separate residences. Their husbands wouldn't agree to a duplex. 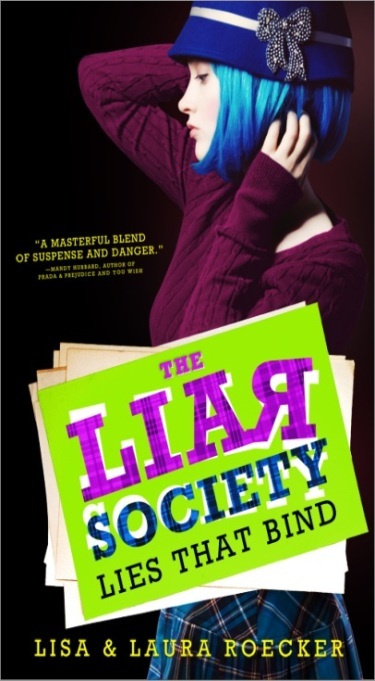 To learn more about The Liar Society series check out www.theliarsociety.com. Kate’s heard of messages from beyond the grave, but she never expects to find one in her fortune cookie. Especially from her best friend, Grace—who’s supposed to be dead. At the elite Pemberly Brown Academy, nothing is as it seems. A classmate has gone missing, and Kate soon realizes that the disappearance is tied to the secret societies that rule her private school. Her best friend died for their secrets, and there’s no way she’ll let them get away with it twice. It’s up to quirky outsider Kate to get some answers, but in a school where every answer leads to more questions and nothing’s as it seems, who can she trust? This exciting sequel in The Liar Society series is filled with suspense, danger, and mystery as Kate stops at nothing to prevent the secret society at her school from getting away with murder again. 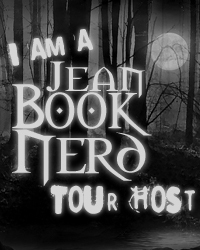 Thank you Sourcebooks for making this giveaway possible. 1 Winner will receive a exclusive gift pack, filled with Liar Society favorites including copies of the books, Twizzlers, bracelets, and of course blue hair extensions. My parents 25th Anniversary! *___* It was really beautiful. It was my 26th birthday...family, friends, my future fiance...it was a wonderful day to celebrate! Mine was my 22nd because I had my son just a few days before it. I watched the video until you started talking about clothes. Crap. My previous comment was totally off topic. I'm not admitting to the details of my most memorable party on the internet, but I am the two-thousand-five-hundred and first follower here, and that's got to count for something! It was my 17th birthday party. I don't know why but this was the best party ever; my whole friends were there and so my family. Mine is this past August when I was visiting my family in Oregon. We had a family BBQ and it was so nice to spend time with everyone. Its my most memorable because it will probably be my last birthday party I will spend with my dad. So that really meant a lot for me. All my childhood's birthday parties was very memorable! Love the blue extensions! How cool is that?! Does my elementary school graduation count? It was my 18th birthday party. I went out with friends and it was really great because every my friend were there! My daughter's 1st birthday party. She is the only girl among her father's children. His family was ecstatic and so excited that they went all out for her first birthday!! My 14th birthday. I had the party with a bunch of my friends. We were all born in April, so we had the party together. It was AWESOME! Maybe my granparents wedding anniversary party when I was younger. And wow! Would I like some blue hair extensions! Way cool! Our prom party! it was soo funny! The Christmas parties at my uncle's house were always awesome! My mothers 36th surprised birthday party with a stripper! She had NEVER had a party ever in her life and I took it in my hand to throw her one along with a stripper. It was a bitter sweet memory because she was going through cemo and radiation at the time, she has now passed away, so that is one I will keep forever. We had so much fun and her face was priceless!